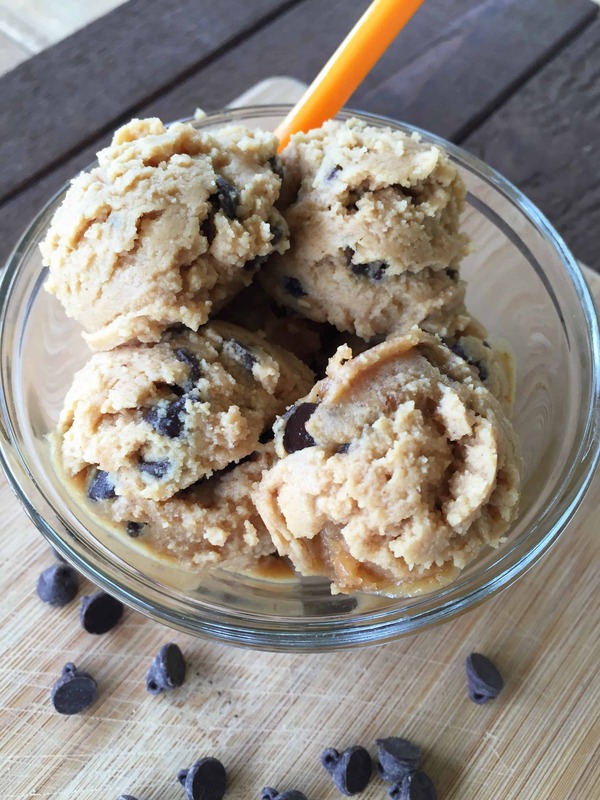 Peanut Butter Oatmeal that tastes like cookie dough? Yes, please! Rich and creamy, this peanut butter oatmeal will satisfy your sweet tooth at breakfast. 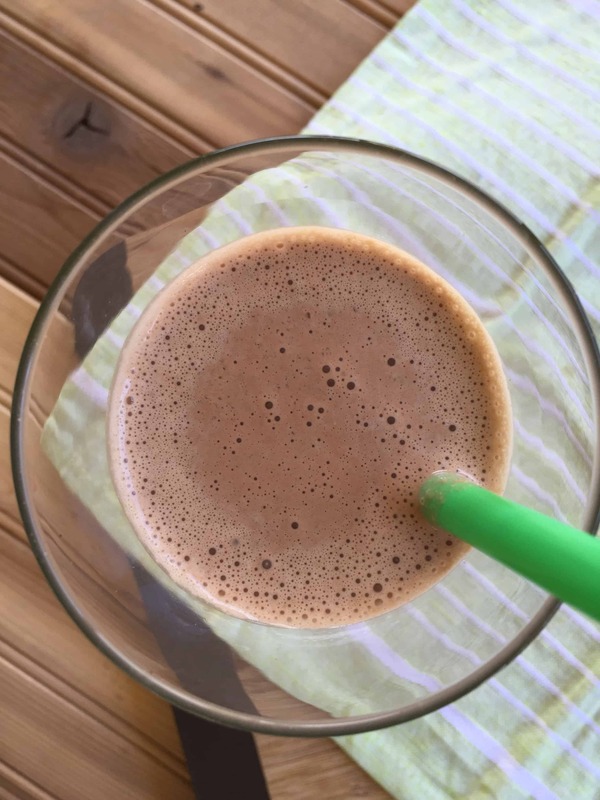 This recipe is low fat, dairy free, sugar free and a Trim Healthy Mama E Fuel. 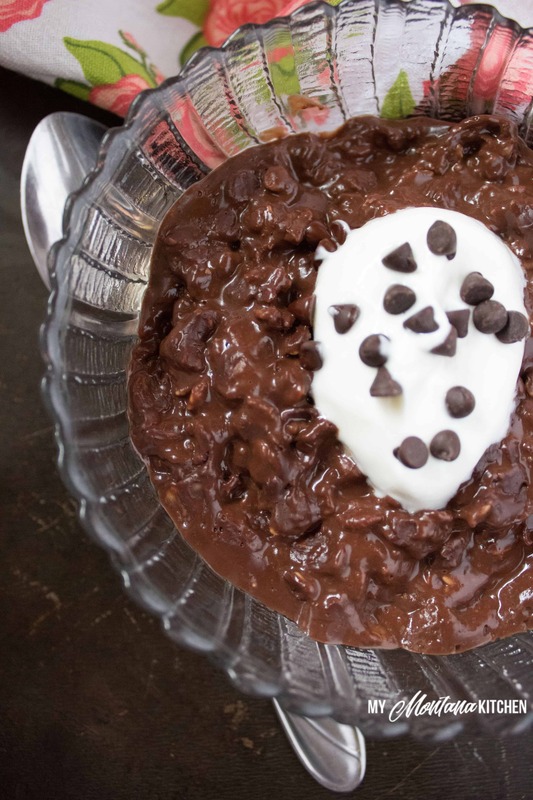 Recently I posted a Brownie Batter Chocolate Oatmeal recipe and it has been very well received. 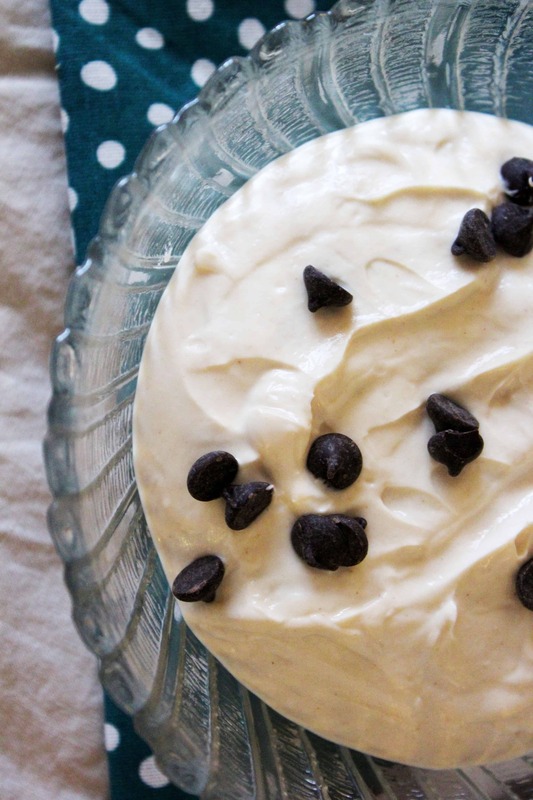 Seems that some people like having something that tastes like dessert for breakfast (my hand is up)! 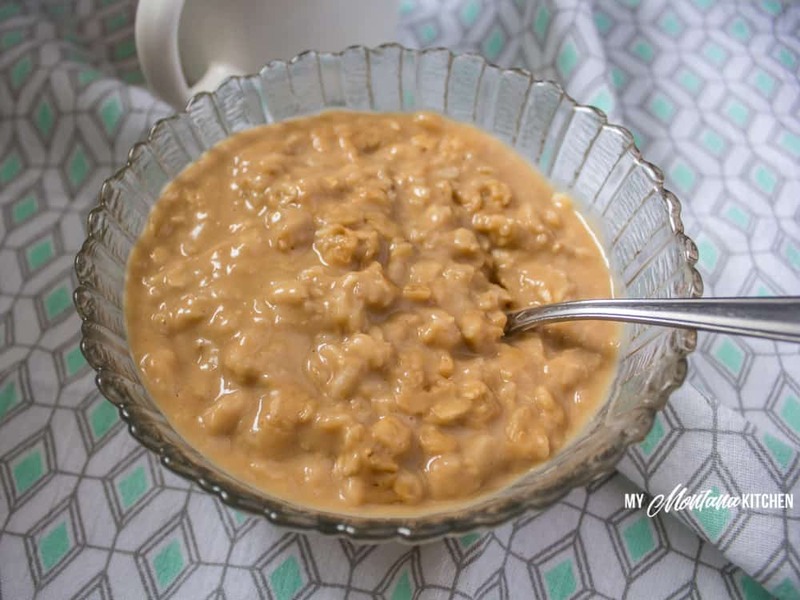 I love that oatmeal, and it has become one of my “sweatpants” meals (see note below), but I thought I would change it up just a bit and make it peanut butter. The result, I think I like it even MORE than the Brownie Batter variety! Wondering what I mean by a “sweatpants” meal? This term was used by Serene and Pearl on a recent Trim Healthy Mama podcast. They were discussing favorite meals that you rely on over and over again. This makes sticking with your eating plan so much easier when you have simple meals that you can prepare without even having to think about it. 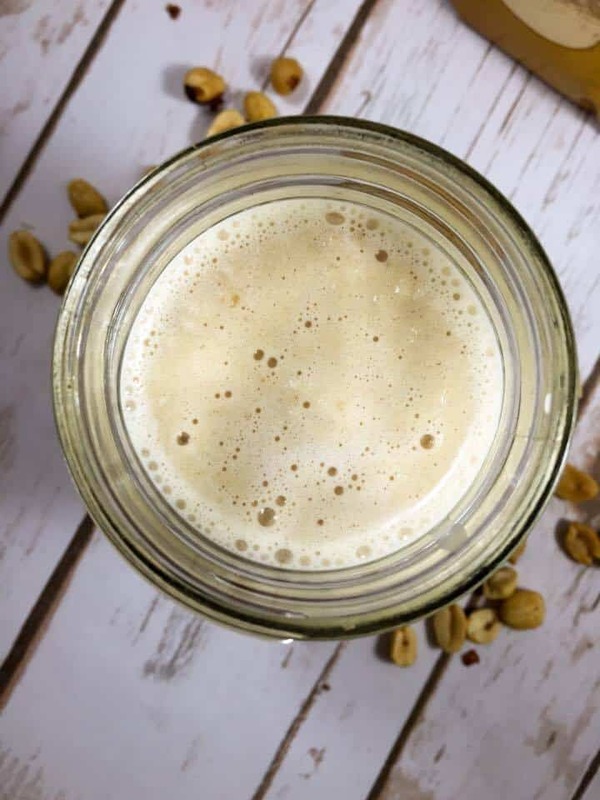 Pearl mention her “Sweatpants Oatmeal” and it is has taken the Trim Healthy Mama world by storm! You can see her “Sweatpants Oatmeal” recipe in a video here. My oatmeal recipes are different from hers – I do not put the coconut oil on top like she does, but I find that these are very filling and satisfying. And as a bonus, my kids even like these varieties! 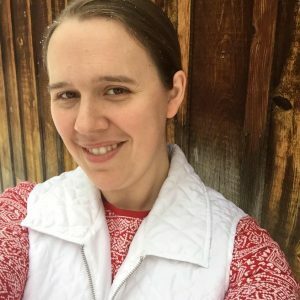 Now, I should clarify that my kids (are they unusual?) have ALWAYS loved oatmeal. Ever since they were very small, and they still love to eat oatmeal for breakfast. I used to microwave it for them (I know, not the best thing). But after they tasted my oatmeal cooked on the stove, that is their preferred method. Oh well, it DOES taste much better when cooked on the stove! That being said, if you are a Drive Thru Sue feel free to use the microwave! 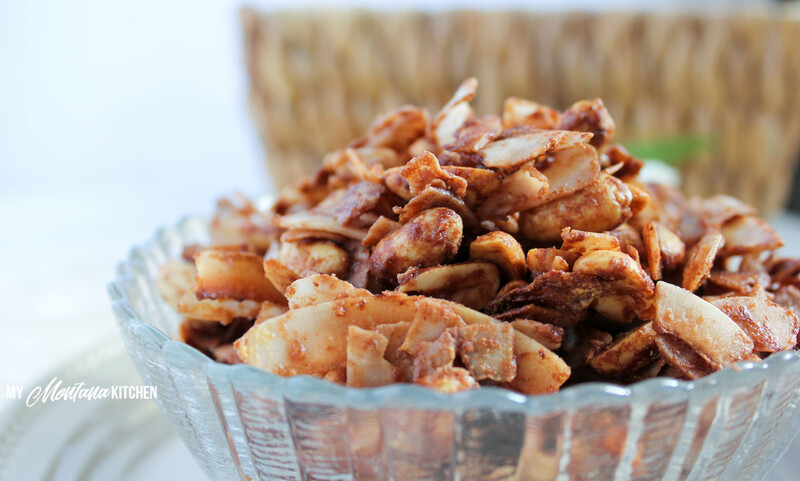 As Trim Healthy Mamas, we separate our fats and our carbs, so you may be wondering . . . how can you have peanut butter oatmeal? Isn’t that a crossover? 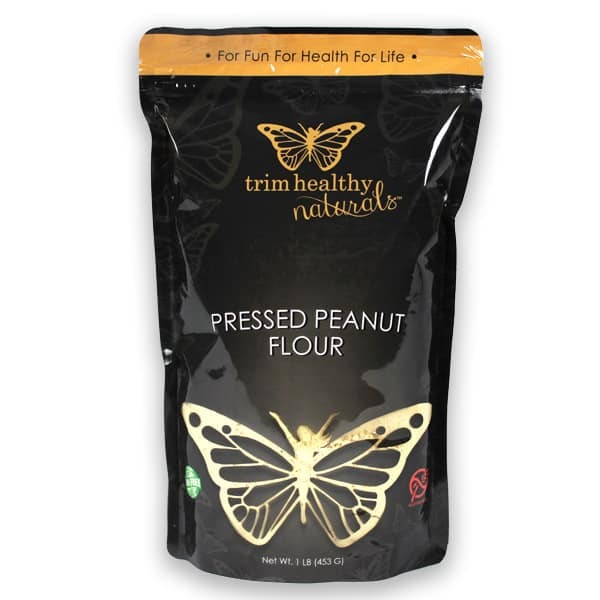 ¼ Cup of the Trim Healthy Mama Defatted Peanut Flour only has 4 grams of fat! 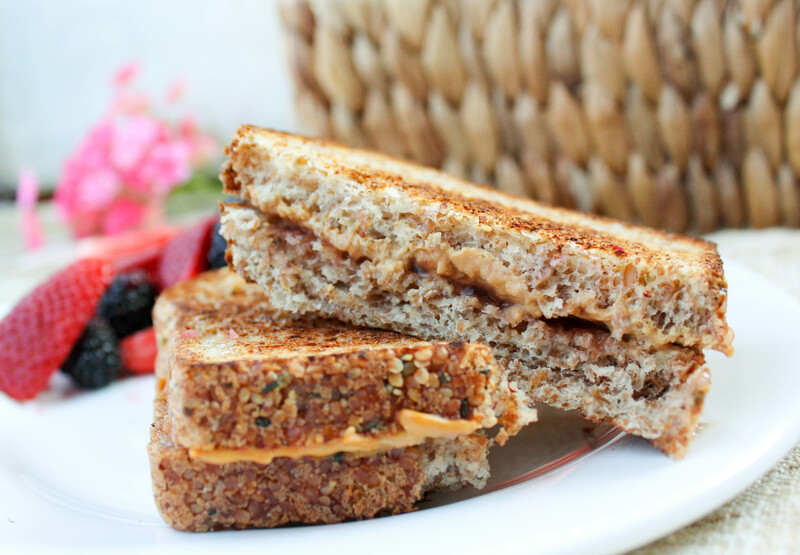 So this means you can easily use peanut flour in your E and FP recipes! This opens up so many possibilities! 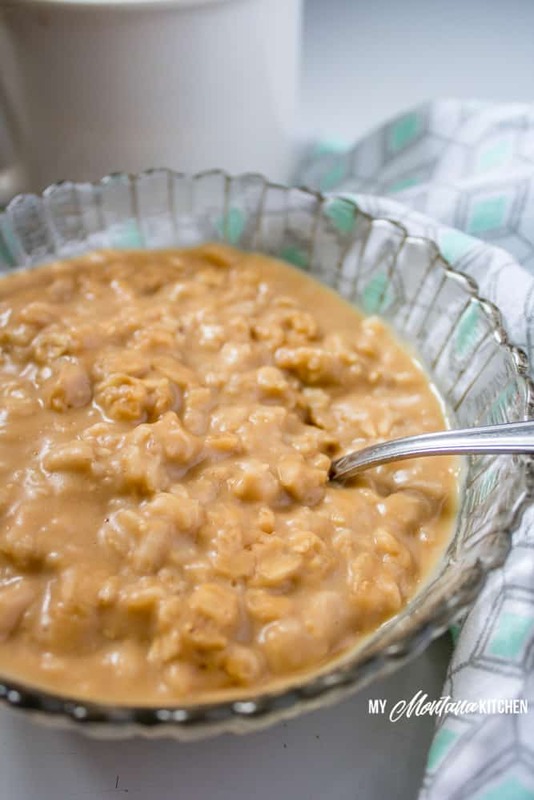 Adding 3 Tablespoons of peanut flour to this peanut butter oatmeal also adds 12 grams of protein! I often see people asking about protein options to go with their oatmeal. I usually have collagen coffee with mine, but I also sometimes top my oatmeal with some 0% Greek Yogurt. Or you could have a side of 0% Greek yogurt and berries. Yet another option is to add gelatin or collagen directly to your oatmeal. 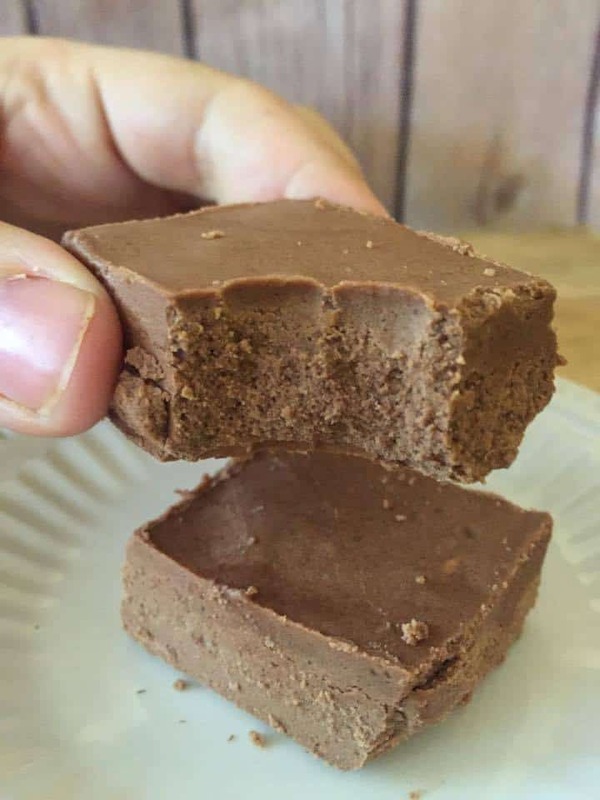 Now, since I love peanut flour so much, it is used in quite a few of my dessert recipes, so check out the recipes below if you need more ideas on how to use it! 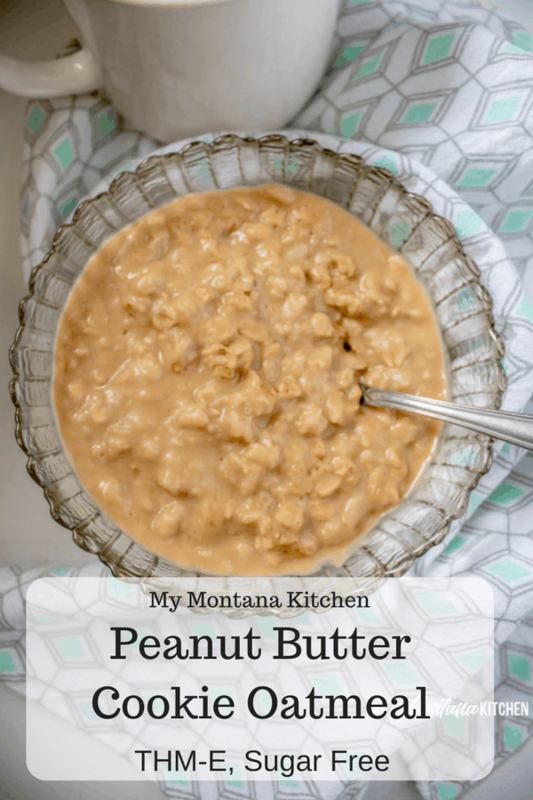 So, what do you need for this Peanut Butter Oatmeal? In a medium saucepan, over medium heat, combine all ingredients and bring to a simmer. Let boil for 2-3 minutes, or until oatmeal begins to thicken. You may notice that the fat content says 7 grams, which is over the 5 suggested for an E meal. The seven grams includes the naturally occurring fat in the oatmeal itself, which does not count towards the added 5 grams. Subtract the 3 grams for the oatmeal, and there are 4 grams of fat. 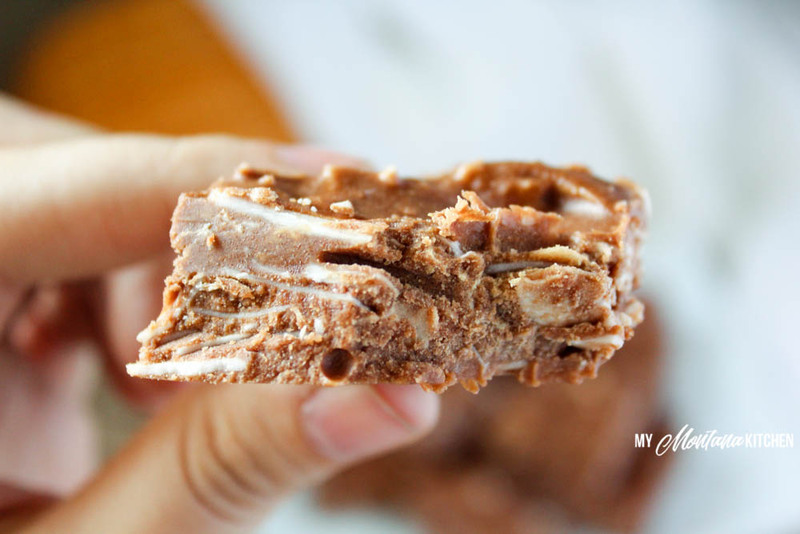 If you do not have access to the Trim Healthy Mama Gentle Sweet, you can use this DIY version of Low Carb Powdered Sugar. My kids LOVE oatmeal too 😉 excited to try this…y sweet tooth in the morning is hard to satisfy. Sweetened coffee, oatmeal, cereal, or muffins are my main sweatpants. The sweet tooth is why I typically only have eggs once a week or so for breakfast bc I feel like I have to have toast w/jelly! Wow! This was so good!! It totally satisfied my sweet tooth. 🙂 Thank you! Thank you for this!! I used cooked quinoa instead of oats this morning and if you can get past the texture it was great! !